Our range of products include garden umbrella, side pole promotional umbrellas, straight wooden garden umbrella, beach umbrella, garden and beach umbrellas and patio umbrella. We offer a wide range of Garden Umbrella to our clients, which is the most preferably used promotional umbrellas for doing advertisement of company logo's, product, schemes etc. It is a economical way of branding a product or a company. Our range is widely used as a alternative to big and expensive hoardings. We are a trustworthy organization in the market, actively engrossed in offering a wide gamut of Side Pole Promotional Umbrellas. We are fabricating a comprehensive range of Straight Wooden Garden Umbrella, which is designed in compliance with international norms and quality standards. 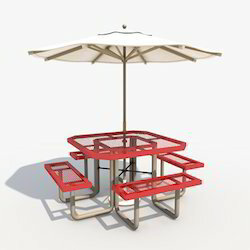 These are fabricated with bet grade of material and are available in diverse colors and shapes. Our range is specially designed to best suits the monsoons and hot summer seasons. These are perfectly stitched with durable and strong threads and thus they better withstand weather and ultra violet rays from sun in hot summer. 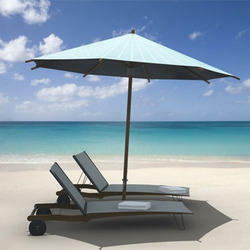 We are involved in fabricating a durable range of Beach Umbrella, which has appealing designs and prints. 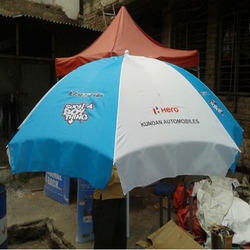 These umbrellas are available with strong handles and thus they facilitate simple and safe anchoring. Our range can also be customized in accordance with client's requirement. 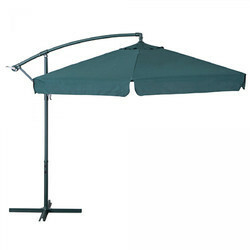 We supply an entire range of Garden and Resort Umbrellas. Our umbrellas deliver optimum functionality standards in the given operations. It protects the users from scorching sun and provides cool shade in the hot summer season. These are best suited for outdoor use for the protection of users from the elements. We offer our range at industry leading prices. 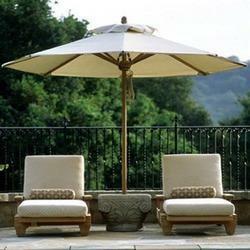 We also provide a superior range of Patio Umbrella to our clients as per their requirement. Our range is available in different sizes, designs and colors, which can be customized as per the requirement of our clients. Furthermore, we are committed to meet the bulk demand of our clients within the committed time frame across the nation. Looking for Garden and Resort Umbrella ?